ProFieldENCORE’S modular design and open interface architecture means that you can license as many or as few of ProFieldENCORE’S modules as you need. Let our experts help you to design an implementation model that fits your specific needs and circumstances. ProFieldENCORE is an award-winning mobile workforce management solution custom designed for smart meter maintenance following an advanced metering infrastructure (AMI) rollout. Electric, water, and gas utilities worldwide trust ProFieldENCORE. AclaraSmart Grid Solutions ProfieldENCORE is robust software that supports standard metering work, including new business, exchange, test, and inspection. 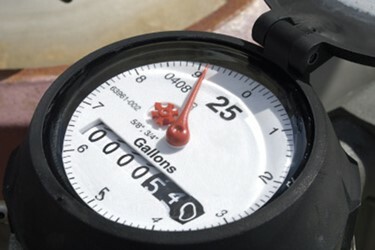 ProFieldENCORE is designed to fill gaps in a utility’s existing systems for meter maintenance. ProFieldENCORE easily interfaces with a range of common utility information systems, such as work order or asset management, without duplicating existing systems or requiring them to be replaced. ProFieldENCORE can be inte-grated via multiple points with legacy utility systems using the built-in application programming interface (API). Aclara Smart Grid Solutions regularly receives accolades for the ProField technology, including most recently the Fierce Energy Smart Grid Innovator Award for best mobile workforce management.